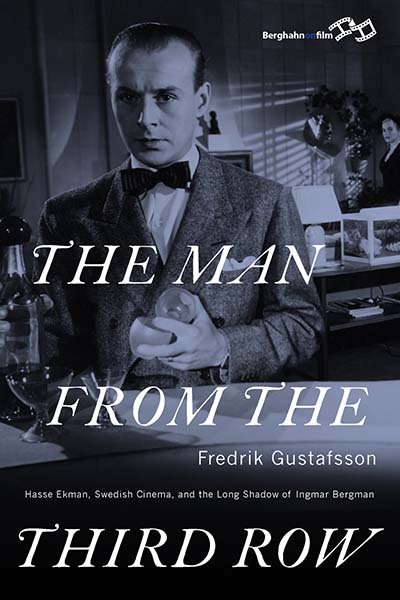 My book about Hasse Ekman, The Man from the Third Row - Hasse Ekman, Swedish Cinema and the Long Shadow of Ingmar Bergman (Berghahn Books), has been released today and is now available in stores and online, around the world. That is pretty fabulous! Now I feel inclined to rest on my laurels for a little while, so I am taking a November break from writing. But I will be back here soon, on Friday, 2 December. Then anything's possible. About Sweden's first sitcom Niklasons, made by Hasse Ekman. About Gunnar Fischer, the cinematographer who worked with both Ekman and Bergman. About Georg af Klercker (filmmaker in the 1910s). About Schamyl Bauman (filmmaker in the 1930s and 1940s). About Mai Zetterling (actress and filmmaker from the 1940s to the 1990s). About Ekman's Vi tre debutera (1953) - in Swedish only. 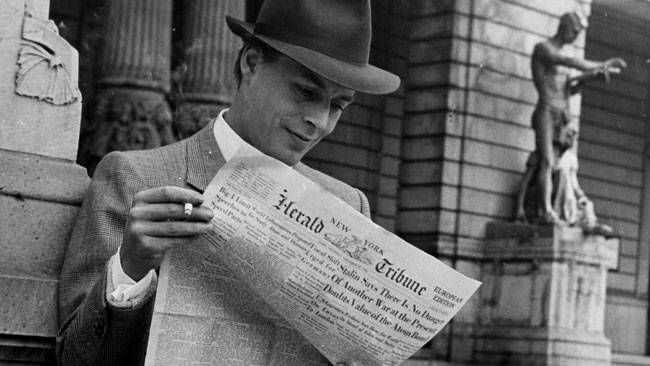 "Hasse Ekman at MoMA" in Journal of Scandinavian Cinema #3 2015.